I recently came across an article written by a young man who identified himself as Gen Y (those born between the mid-1980s and 2000). His article reflected on the life of his mother who had served her main profession and few employers continuously and steadfastly throughout her adult life towards the aim of enjoying a comfortable retirement. As that time loomed near she had not achieved the financial security she needed for retirement. Even a delayed retirement would provide her little more than a basic existence and the prospect of dependence on others as her health declined over time. The writer vowed that he would never live his life in selfless service to employers to face the same late life insecurity as his mother. His article provoked outraged criticism from many readers. Comments saluted the mother as dedicated and selfless while he was branded ‘typical Gen Y’: entitled, ungrateful, insensitive and selfish. Respondents compared their own parents who, like the writer’s mother, worked long and hard to provide for them but unlike the writer, they were proud of their parents who earned their pensions and they saluted their dedication. The emotion of the responses seemed out of proportion to the sentiments expressed in the article. For instance he was accused of having a sense of entitlement, yet nowhere did he write that he expected more than his mother. He simply stated he wanted make different choices to his mother so he would have the opportunity to achieve a better outcome. A look at the profile photos of the respondents suggests reactions could have had something to do with their ages and their own prospects for retirement in the years ahead. Like this writer, I do not think we should call a system (economic, social or otherwise) that asks for compromises to be made during our working lives in exchange for freedom in future years, but then that freedom is unavailable, a success. Far from disrespectful, he was distressed that his mother’s financial situation did not do justice to the care she took of others during her working life. What was typical of this writer as a member of Generation Y was his attitude that the system needs to be better. He reached out on social media so he and others can do something about it. They think this way because we taught it to them. As Gen X (those born between the mid-1960s and the mid-1980s) parents, we have sought to do what our parents before us have done: give our children a better life than the one we had. With experiences of relationship breakdowns, mortgage stress, complying with society’s expectations at the expense of our own fulfilment, job insecurity and social inequality guiding our parenting approach, we taught our children to never settle for less than they deserve. We have given them the expectations of respect, equality, choice and that they can be anything they choose to be. We denied them little and protected them from harm that often existed only in our minds. “Why don’t you look it up yourself?” we would say when they asked us a question and we saw an opportunity to develop their independence. We drove them from activity to activity week after week, and that was worth it because these activities developed their confidence and their collaboration skills. Their sense of responsibility to the planet and to the disadvantaged is a credit to us because we told them it was important to care about people more than title, money and power. And now they are in the workforce, and Gen Y – with the values we instilled in them – and the workplace are out of sync. Since the modern workplace developed in the 1950s, a clash between the establishment and the new generation has always been the case. Boomers in the 1960s fought workplaces fraught with inequality and patriarchy. Gen X in the 1980s fought being ‘treated like a number’ and demanded recognition and career opportunity. The difference with the entry of Gen Y into the workforce is the previous generations are working longer; they are staying rather than making way for the new generation. It is far too easy to dismiss Gen Y as a self-absorbed generation that understand technology better than people. To them, we the older generation can seem not self-absorbed enough – complying with employers for their benefit at our own expense – without fighting to change it. 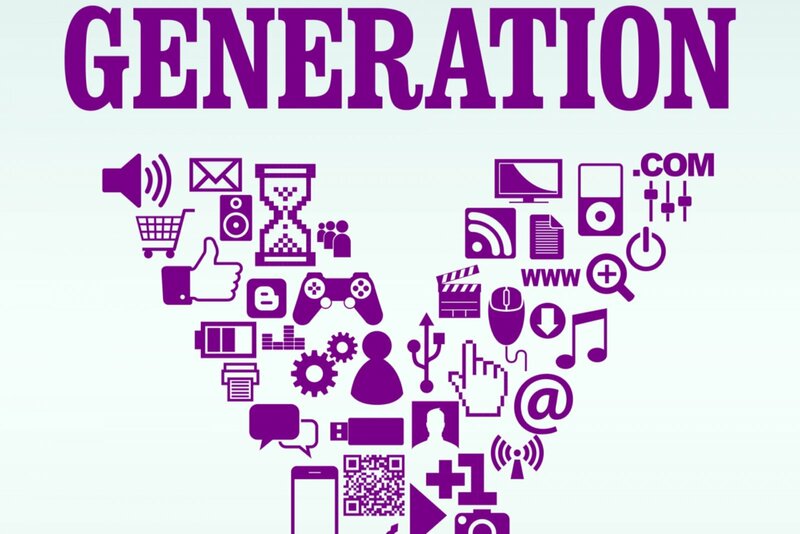 Gen Y are an educated, caring, confident, connected, inquisitive, socially-minded, innovative and entrepreneurial generation. Organisations need to harness these attributes not beat young workers into our old thinking that time served equals achievement. It will not be enough to accommodate them; we need to actively engage with them. We should learn how we can keep up with an automated, technology-driven and hyper-connected world. As the world ages, Gen Y will not just be the talent that powers the organisation, they will also be the customers. As parents we told them not to settle for something they felt was not right, and there is much about work that is not right. Like them we should also feel outraged when after a long working life we are faced with the fear that our savings will not be enough. Like them we should assume that this is something we should do differently. As managers we should not even have the time to be complaining about Gen Y. The time should be spent developing a workforce model that better serves the organisation in the new world, and provides better prospects for financial security in retirement.